Cynthia, the plant walk will be in the Hauser area, along Palouse Creek, which flows into Haynes Inlet. We will be in the southwest corner of the Elliott State Forest. We’ll be carpooling from the Bay Bridge Inn, just North of the McCullough Bridge in North Bend at 12pm Sunday. 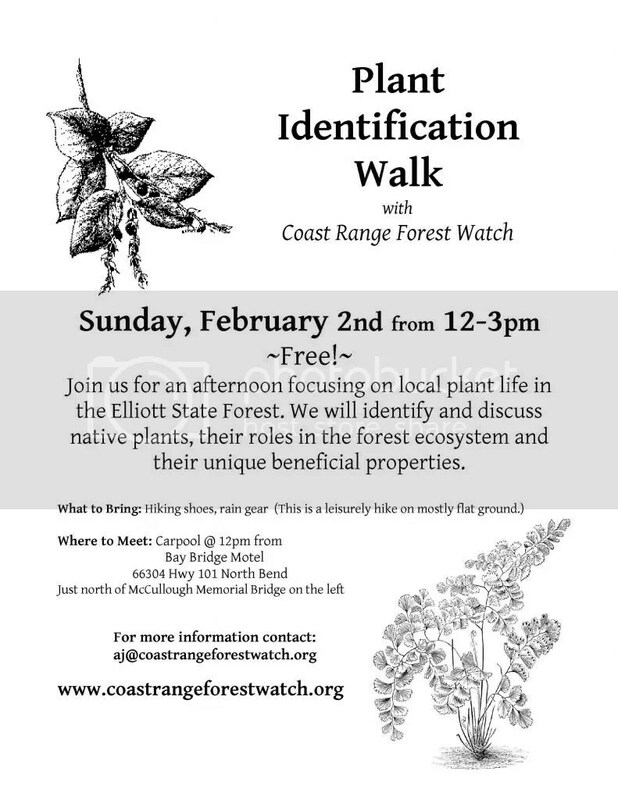 Please email aj@coastrangeforestwatch.org if you have any other questions. We look forward to seeing you Sunday!